Are you in need of superior and complete climate control in your domestic or commercial environment? Do you want your property to stay warm during winter and cool during summer? Drawing on years of unmatched and professional hands-on experience and training, the team at TLA Services pride ourselves on delivering tailored air conditioning installation solutions to residents throughout the Ashburton area. 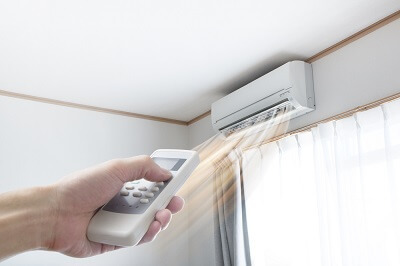 Thanks to our prompt and efficient air conditioning installation, Ashburton residents can enjoy convenient cooling at the touch of a button, while keeping their carbon footprint low. All our installation services are completed on schedule, within budget and with minimal disruption to your home or business. Committed to providing the highest level of attentive service to our customers TLA Services offers an all-encompassing experience to homes and businesses alike. Our team understand that our customers have different standards for comfort and uniquely laid-out properties. From split system units and evaporative cooling, all the way to standard, wall-mounted units we proudly stock them all to meet our customer’s requirements. While installations are our speciality, we also go beyond air conditioner installations. Ashburton locals needing maintenance or repairs can also rely on us for quick upgrades and necessary repairs done at a low cost. For more information about our air conditioner installation in Ashburton, customers can call us on 0430 234 057 for a free, no-obligation quote.